The on campus ice rink is about to get the renovations it needs. 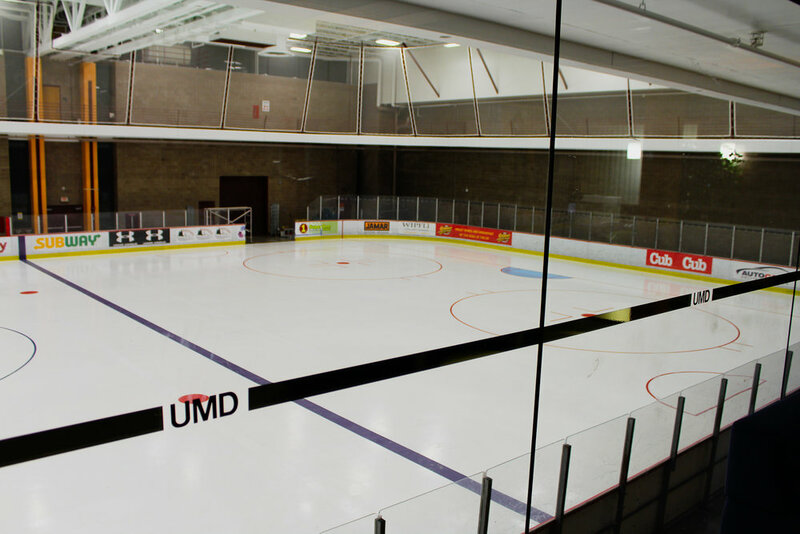 In Sept. UMD Student Association passed a resolution to support the loans needed to fund the on campus recreational ice rinks Heating, Ventilation, and Air Conditioning (HVAC) system. Director of recreational sports Mike McComber explained the reasoning for the new system and the fee hike in an email earlier this week. He started his email by providing background on the first loan obtained for the rink. The original loan was taken out as the previous refrigeration system ran on a greenhouse gas that will become obsolete around 2020. The rink is changing to an ammonia system which will cost approximately $1.2 million dollars. About five years ago there was a shift in how facility renovations and repairs are paid for. Major repairs, renovations, and buildings are paid for through departmental reserves or student fees. For the Recreational Sports Outdoors Program (RSOP) their only sources of funding are the Student Fee Committee and user fees. However the ice rink project it is also being funded in partnership with Facilities Management. The initial $1.2 million loan is being split between Facilities Management ($600,000), RSOP ($300,000), and Student Service Fee Capital Improvement Fund ($300,000). The week this plan was finalized mold was found in the ice rink. Due to this discovery ice wasn’t being made for recreational use and all materials in the rink had to be discarded. Turf, nets, curtains, etc. The source of the mold was found in the inadequate HVAC system. RSOP as an organization attempted to secure a Higher Education Asset Preservation and Replacement fund to replace this necessary unit but did not receive enough. The independent loan that was subsequently taken out for the new HVAC system is approximately $2.4 million or $230,000 a year for the next 15 years. The payment plan on this loan is to increase RSOP’s Student Service Fee Capital Fund and would raise the student rates. It is not the preferred plan but is the best option according to Director McComber. 90% of students utilize RSOP services and therefore this is seen as a justifiable approach. Director McComber could not offer the exact number that the rate will be rising to but said it would be specified during the February Student Fee Committee meeting. UMD’s $84 student fee toward recreation is currently the lowest in the U of M system and, even after the raise, should remain that way. At the beginning of this upcomings spring semester a new synthetic turf will be available for use by Intramural and Sport Club activities. In the future, the plan is to have ice in the rink from Oct. to mid Mar. and turf during the rest of the year.